Personal Chef To Go VS Paleo On The Go | Which Company Is The Best For You? Personal Chef To Go VS Paleo On The Go | Which Company Is The Best For You? Compare our professional reviews for them. 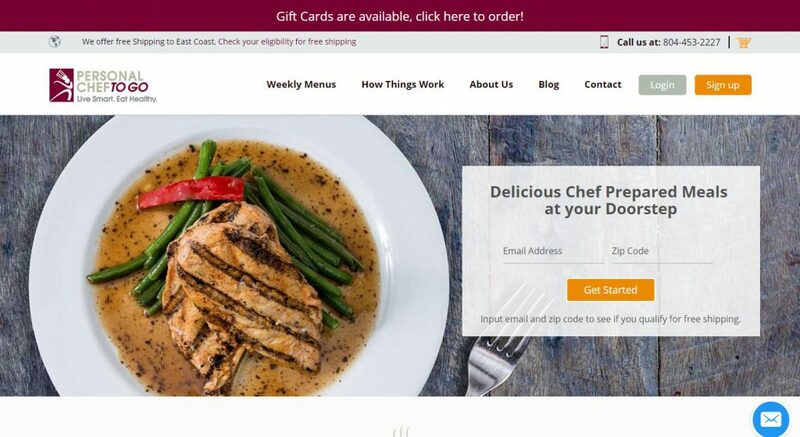 In order to help you to find which plans, services, or products may represent the better choice for you, we have compared Personal Chef To Go with Paleo On The Go, based on few major characteristics of the products and services: Popularity, How it Works, Different, Health & Nutrition, Meals, Menus and Recipes, Plans & Pricing, Help & Support and more. Personal Chef to Go was established by Blair Grossman and Gene Castelluccio. 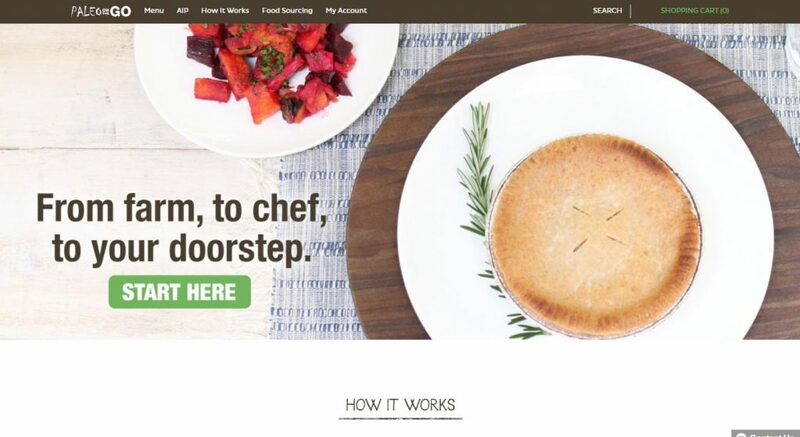 It’s a food subscription service that allows you to make perfectly-portioned meals. Grossman and Castelluccio are dedicated to preparing healthy meals. They have put together their skills and years of experience to create healthy and delicious meals and deliver them to your doorstep. Read on to know what you can get from Personal Chef to Go. Keep reading our honest Personal Chef To Go review to learn more. Paleo On The Go is a valued autoimmune protocol and paleo meal delivery service, offering AIP chef ready-made frozen meals, shipping to all parts of the United States. This company was developed in 2012 by Dave Rohde. He suffered various medical issues due to lack of nutrition that is why he decided to create and offer a meal delivery service that can help people eat healthy food in spite of their busy schedule. Paleo On The Go strives due to the team of skilled chefs and food experts headed by Ann Lotterhos. She is a graduate of Culinary Institute of America and work at many high-end restaurants in the United States. Ann is continuously upgrading their meals and also continues to find fresh healthy and delicious dishes that will meet your nutritional needs. Offering meals with healthy and natural ingredients, Paleo on The Go offers healthy autoimmune protocol and paleo dishes right at your doorstep. They are very focused on their unique approach to meals, only sourcing the best ingredients grown by local farmers and sustainable cultivated free-range chickens, beef and poultries. Paleo on The Go is not just a home of skilled paleo chef, but they also receive an official Paleo certificate. They are respected in fact this company is featured in The Paleo Approach book and Paleo Magazine. Keep reading our honest Paleo On The Go review to learn more. Personal Chef To Go is a good option for those who want to eat healthy meals. It eliminates the stress of shopping for ingredients and cooking meals since your lunches and dinners are delivered to your doorstep. You can also choose to get meals only for you, for you and your entire family and for couples. There are options to meet everyone’s needs. The prices are very reasonable, so you don’t need to worry about breaking the bank. Personal Chef To Go ships all over the United States, so everyone can get a meal. However, it doesn’t have vegan and vegetarian options. You should definitely check out Personal Chef To Go’s menu if you want to enjoy a healthy and delicious meal at home at a very reasonable price. If you are searching for dairy-free, gluten free, AIP and Paleo meals, Paleo On The Go is the best place to call. They offer easy to prepare, portable and delicious meals. The meals are prepared using high-quality and organic ingredients. A lot of customers love and enjoy the meals from Paleo On The Go. Their popularity continues to grow this is because of the decent number of people supporting this company. According to them, the meals offered are really exceptional, nutritious and most of all very reasonable. A positive reputation and loyal following from health fanatics and health conscious individuals are living proof of the reliability and dependability of this company. You can visit their website to get to know more about their services. On their website, you can also find the list of ingredients they are using, where they source it and the name of the producers as well. In general, this meal delivery service provider is certainly worth trying for.